SB1043 SD2 HD1 RELATING TO HEALTH CARE. SB1047 SD1 HD2 RELATING TO DOMESTIC VIOLENCE. SB1048 SD1 HD1 RELATING TO SEXUAL HARASSMENT. SB1050 SD2 RELATING TO HOUSING. SB1057 SD1 RELATING TO OPEN GOVERNMENT. SB1060 RELATING TO STATE CAPITOL TOURS. SB1061 RELATING TO MOTOR VEHICLES. SB1062 SD1 RELATING TO WASTE MANAGEMENT. SB1064 SD2 RELATING TO AGRICULTURE. SB1066 SD1 RELATING TO THE DEPARTMENT OF AGRICULTURE. SB1067 RELATING TO THE STATE CAPITOL. SB1069 SD1 HD1 RELATING TO REDUCTION OF NOISE FROM HELICOPTER OPERATIONS. SB1071 RELATING TO IMPROVEMENTS TO STATE FACILITIES ON STATE LAND AT KA‘OHAO PUBLIC CONVERSION CHARTER SCHOOL. SB1072 RELATING TO CAPITAL IMPROVEMENT PROJECTS FOR THE BENEFIT OF THE TWENTY-FIFTH SENATORIAL DISTRICT. SB1110 SD1 MAKING AN APPROPRIATION TO THE DEPARTMENT OF ACCOUNTING AND GENERAL SERVICES. SB1111 SD2 RELATING TO THE DEPARTMENT OF ACCOUNTING AND GENERAL SERVICES. SB1112 RELATING TO THE DEPARTMENT OF ACCOUNTING AND GENERAL SERVICES. 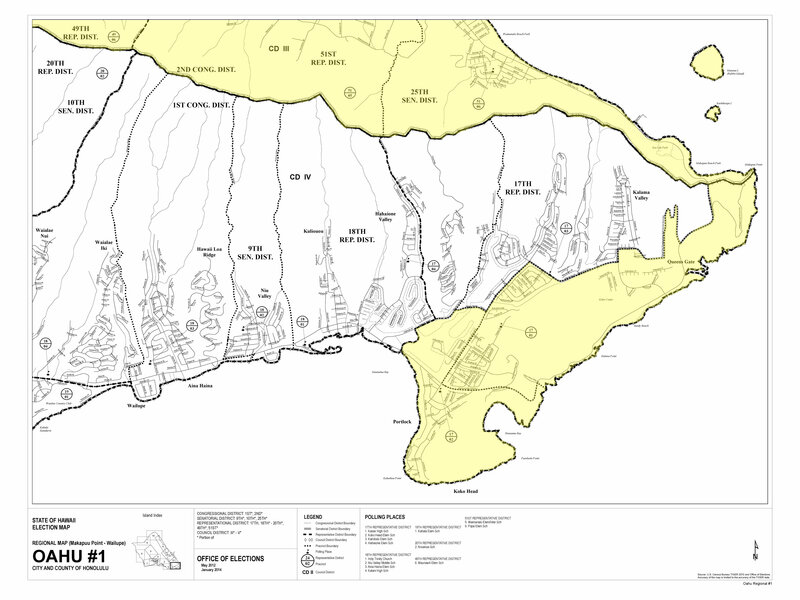 SB1113 SD1 RELATING TO COASTAL ZONE MANAGEMENT. SCR106 REQUESTING THE OFFICE OF INFORMATION PRACTICES TO EXPLORE A TRIAL APPEALS RESOLUTION PROCESS WITH A RANDOMLY CHOSEN SELECTION OF ALL INCOMING PUBLIC APPEALS. SCR107 REQUESTING THE OFFICE OF INFORMATION PRACTICES TO EXPLORE A TRIAL PRELIMINARY INCLINATION PROCESS FOR INCOMING PUBLIC APPEALS. 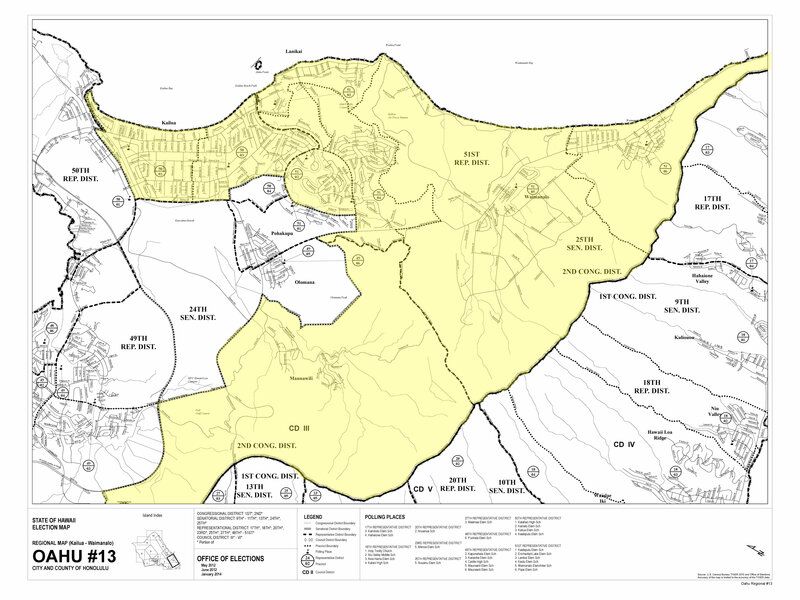 SCR176 URGING THE DEPARTMENT OF HEALTH TO COMPLETE THE TOTAL MAXIMUM DAILY LOAD PROCESS FOR KA‘ELEPULU WATERSHED IN KAILUA, OAHU. SR80 REQUESTING THE OFFICE OF INFORMATION PRACTICES TO EXPLORE A TRIAL APPEALS RESOLUTION PROCESS WITH A RANDOMLY CHOSEN SELECTION OF ALL INCOMING PUBLIC APPEALS. SR81 REQUESTING THE OFFICE OF INFORMATION PRACTICES TO EXPLORE A TRIAL PRELIMINARY INCLINATION PROCESS FOR INCOMING PUBLIC APPEALS. SR143 URGING THE DEPARTMENT OF HEALTH TO COMPLETE THE TOTAL MAXIMUM DAILY LOAD PROCESS FOR KA‘ELEPULU WATERSHED IN KAILUA, OAHU. 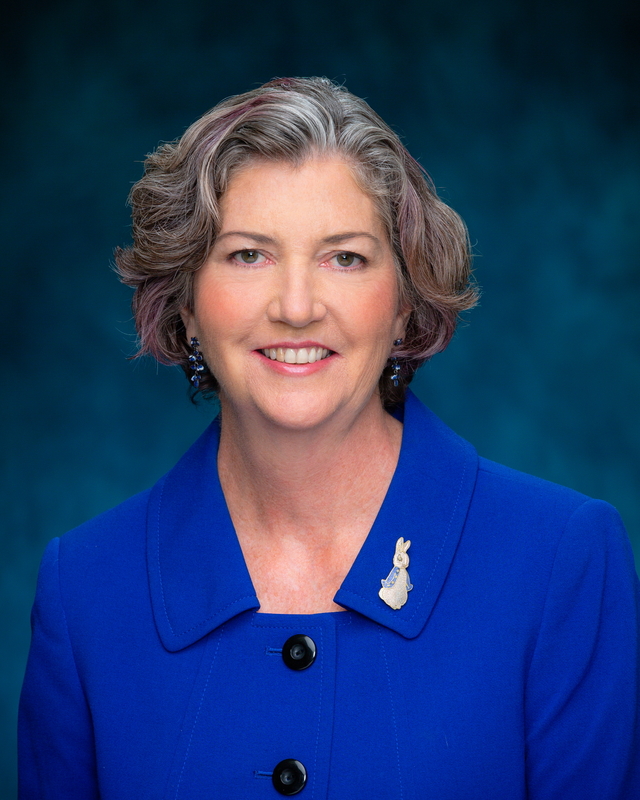 Senator Laura H. Thielen represents the 25th Senatorial District, which encompasses Kailua, Lanikai, Enchanted Lake, Keolu Hills, Maunawili, Waimānalo, Hawai‘i Kai, and Portlock. Senator Thielen has served in the Hawai‘i Senate since January 16, 2013 representing District 25. Senator Thielen served as chair of the Hawaii Department of Land and Natural Resources from 2007 to 2010 under Governor Linda Lingle. Senator Thielen grew up in Kailua, beginning school at Lanikai Elementary. She has raised two children in Kailua, beginning their schooling at Aikahi Elementary. She now resides in Waimanalo, where she started a small farm business. Senator Thielen is a member of the Waimanalo Agricultural Association and Waimanalo Cooperative Market. Before entering public office, Senator Thielen served over 25 years in the private sector, including running small businesses, non-profit organizations and in government, including managing a large government department. Senator Thielen understands how laws and regulations affect the private sector and how they impact individual and groups of people and our resources. She also understands how government works from the inside, which means she understands how we can make it work better. Senator Laura Thielen, who represents Senate District 25 - Kailua, Waimanalo, and Hawaii Kai was proud to recognize Waimanalo resident Albert Scales. Scales serves as the Administrator for the Department of Education's School Food Services Branch. He was instrumental in the Farm to School Initiative, designed to address the supply and demand issues surrounding the purchasing of local food for our State school cafeterias. The Initiative also aims to systematically increase State purchasing of local food for our school menus as well as connect our keiki with the aina through their food, using products from the local agricultural community. 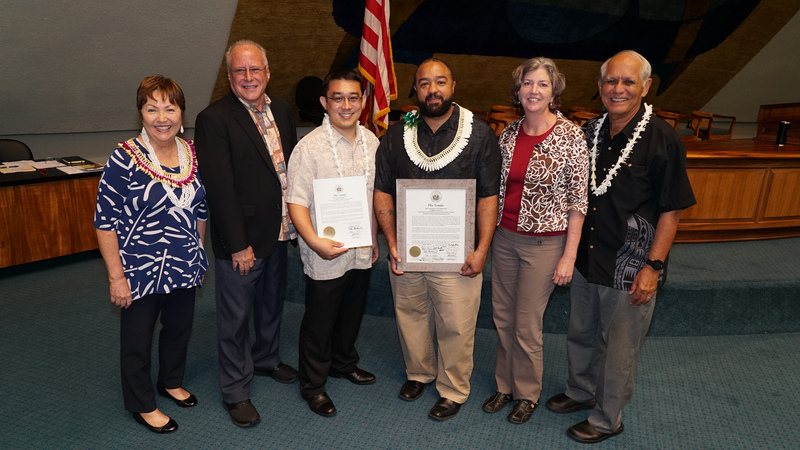 On Friday, March 15th, the State Senate of the Thirtieth Legislature of the State of Hawaii recognized Albert Scales for his service to the over 180,000 public school students of the State of Hawaii. 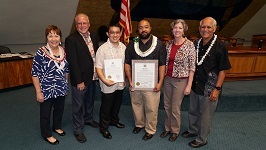 Also present was Dexter Kishida, HIDOE Program Specialist for the Farm to School initiative.